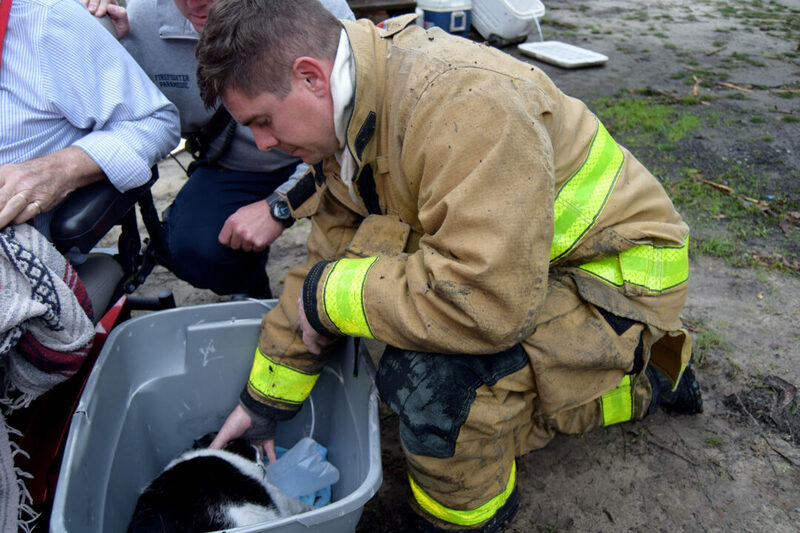 BRUCE, Fla – A Walton County Fire Rescue firefighter saved a family’s pet cat from their burning home Tuesday morning. 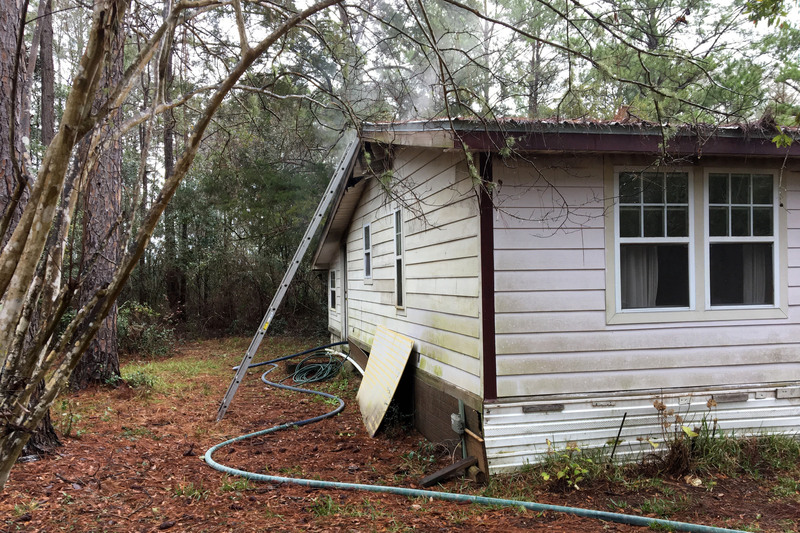 At 10:54 AM on Tuesday, January 29, 2019 a 911 call promptly dispatched Walton County Fire Rescue to a single story home on Morrison Lambert Lane in Bruce in reference to a structure fire. Firefighters and paramedics arrived within minutes to find smoke coming from inside the home. 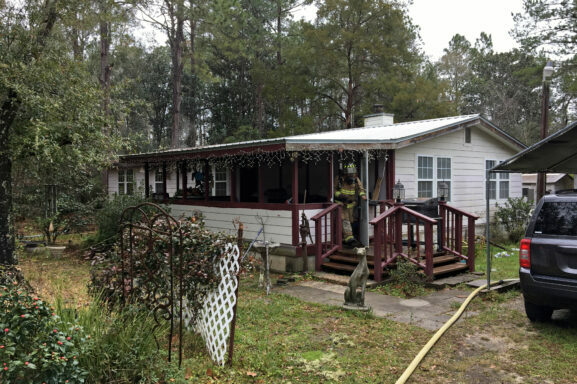 Firefighters found that the flames were coming from the kitchen area of the home and were able to knock down the fire within minutes, saving the home from severe damage. One resident was home at the time of the fire and was able to make it out unharmed with their family dog. The owner of the home informed firefighters that their family cat was still stuck in the smoke-filled home. Walton County Fire Rescue Firefighter/EMT, Dan Hoyt was able to locate the cat and quickly rushed him outside to safety where he began treating him for smoke inhalation. “Thanks to the quick action of Firefighter Hoyt, a family’s beloved pet was saved and we are hoping for a full recovery,” says Sheriff Michael Adkinson. 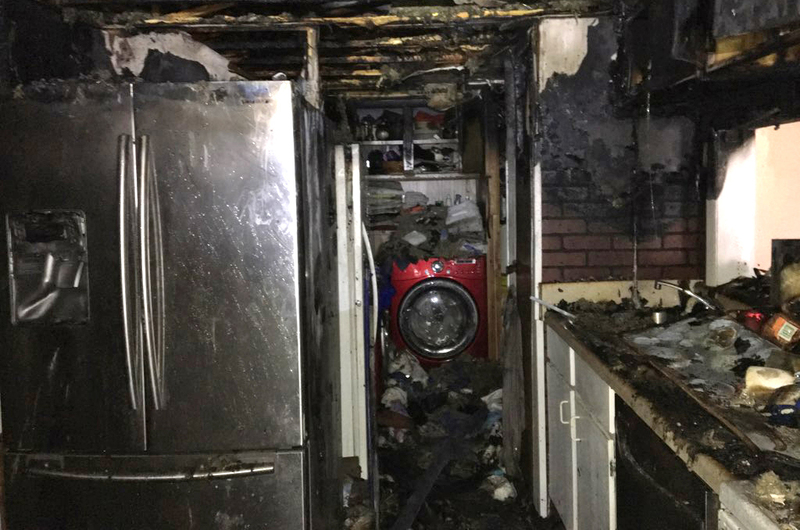 The fire originated in the kitchen as a small grease fire that spread throughout the kitchen and into the laundry room. The American Red Cross was contacted to assist the residents of the home.